Throughout the week of May 23, crews work continue installation of electric lines and sprinklers along US/36, from Lyons Quilting to downtown Main Street. If any businesses have questions regarding accesses or the project, please contact Project Manager, Joe Kubala at jkubala@townoflyons.com. The Town still awaits the delivery of the traffic detection cameras, required to begin operating the Stone Canyon/US-36 traffic signal. Once the traffic detection cameras are delivered and placed, the traffic signal will run with flashing red and yellow lights. See Sgt. Nick Goldberger's message regarding the new traffic control lights. Please note that the schedule is subject to unforeseen construction issues, weather, etc. Additionally, the Town cannot predict exact details when work will be done in specific areas, e.g. in front of particular businesses, etc. You can sign up to receive email notifications of new updates for this project. Please continue to support local businesses. Read the letter from former Mayor O'Brien. On Wednesday, May 25, Xcel Energy began preparation for the new gas lines by digging exploratory holes to locate existing utilities, and on May 31, Xcel will begin installing all new gas lines, throughout the Confluence neighborhoods. Residents will be notified of upcoming work and temporary access with door hangers. Please observe temporary 'no parking' signs that may be placed in front of residences. Xcel anticipates minimal - if any - services interruptions. Upon relocating gas lines, final roadway grading, curb & gutter, and paving will begin; project leads estimate roughly 2-3 more months of work until the project is complete. Railroad Ave will have intermittent closures until June 24, 2016, as new water transmission lines are installed. These closures will follow the immediate work area and not cover the entire length of the block. Access will be limited from each side during this period. The contractor will maintain access for water bulk station, however, may require alternate access directions, depending on location. The work will occur from 5th Avenue to 4th Avenue. Underground water installation should be completed and operational by June 17, remaining work will be surface paving and clean up. The new lines will help equalize water pressure around Town. As the newly-planted grasses planted in the buyout properties continue to grow, the Town continues to request cooperation to stay off the lots, to minimize impact, and allow the vegetation to establish. Please note these grasses were selected for their drought-resistance and low-maintenance features, as the grass mix was not designed to be mowed. We appreciate your help and understanding in this matter. Phase I one of the creek bank vegetation is complete, which included seeding, mulching, soil blankets, and over three thousand willow stakes. Please remember at this stage, the young willows - which look like hundreds of sticks projecting out of the ground - and seedlings are extremely vulnerable to damage. Please allow time for the habitat to establish, by limiting activities in these environmentally sensitive areas. Crews will continue with the second phase of seeding and revegetation in the area following Spring run-off. Boulder County Parks & Open Space and its consultant, Engineering Analytics, will be hosting the first of several public meetings to begin discussions about post-flood restoration of Reach 3 of St. Vrain Creek between U.S. Highway 36 and Hygiene Road. This project is directly linked to the St. Vrain Creek Watershed Master Plan. When: Wednesday, June 1, 6 to 7:30 p.m. The project team will provide a brief presentation on the project approach, including a general outline of the engineering and restoration design process and the project goals and objectives. Members of the public are encouraged to attend to learn more about this project and the design process. The team will lead a discussion gathering public input and concerns that will inform the design of the restoration project. To find out more about the project or provide comments, please visit the St. Vrain Creek Restoration - US 36 to Airport Rd project website or contact Jesse Rounds, Parks & Open Space Planner, at jrounds@bouldercounty.org or call 303-678-6271. The Lyons Arts and Humanities Commission and the Economic Development Commission are pleased to announce the first annual Lyons Last Thursdays - an evening artwalk celebration, with a voucher incentive. On each Last Thursday of the summer, participating businesses will showcase a visual or performing artist, special culinary delight or cocktail creation, or another art form, and special time-limited $7 vouchers will be offered to recipients, in exchange for completion of a short survey. Lyons Last Thursdays / Art Stroll is a celebration of the arts essence of Lyons, and an opportunity to expand commerce via a town-wide creative collaboration. The The Lyons Outdoor Games is a premier Colorado outdoor lifestyle, adventure sport and music festival, and it's just around the corner! Pop a tent Friday night with foothills views, and get out for a mountain bike ride on our world class single track in the morning. Send your kids up a climbing wall and drink craft microbrew from over 50 craft microbreweries around the country, while watching world class athletes compete in professional kayaking, dirt jumping and slacklining comps! Get in on it and sign up for this year's Beer Relay or kick off your flip flops and jump on a slackline or throw a disc at our new disc golf event. Oh- and then see a national touring act while throwing down some awesome eats to satisfy your hunger! All down the road. As we come into our 15th year now, we are ramped up and psyched to bring a more adventurous life to Colorado! The Lyons Outdoor Games is a volunteer-driven event, with deep tradition in kickass community involvement. This event couldn't happen without the team of volunteers, and connections are made here that last a lifetime. 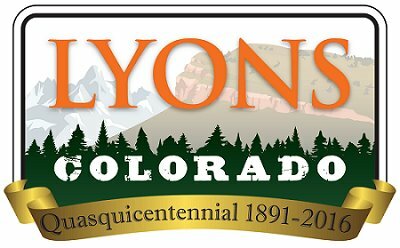 Sign up for the 2016 Lyons Outdoor Games, the premier Colorado outdoor lifestyle, adventure sport and music festival (and beer fest)! All proceeds from this event go directly the Town of Lyons Parks, which are still recovering from the 2013 floods. Volunteers will receive a Lyons Outdoor Games STAFF t-shirt, a super fun sponsor prize swag bag, a meal from Pizaa Bar 66, and free admission to all the events and concerts for them and their immediate family members. We have plenty of volunteer slots to fill, with each shift averaging around 3 hours per shift. Don't be afraid to sign up for more than one shift for the event if you can manage! Without the volunteers, this event wouldn't be possible! All full-time residences with unpermitted or temporary bridges are encouraged to apply. Boulder County is working to improve the community’s resilience to high water and flooding events by ensuring that undersized and unsafe water-crossing structures are in compliance with Boulder County Code. There may be financial assistance available to help homeowners repair and properly permit accesses through the Home Access Program, funded by Community Development Block Grant- Disaster Recovery (CDBG-DR). The deadline for applications for the Home Access Program is Wednesday, June 15, and no new applications will be accepted after this date.